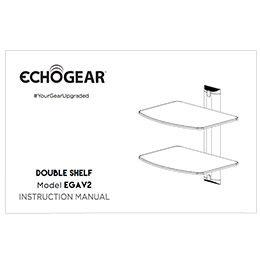 Give your components a sturdy and sleek home with the ECHOGEAR AV Dual shelf. 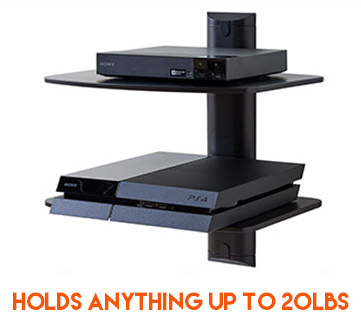 Each shelf can hold up to 10lbs of components such as your Xbox One, Roku, or cable box. 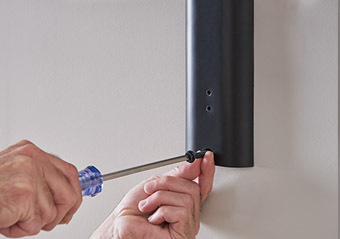 It can be installed in about 15 minutes, meaning you have over 23 hours left in the day to finally clean the garage. The streamlined design will give your house some serious cred. 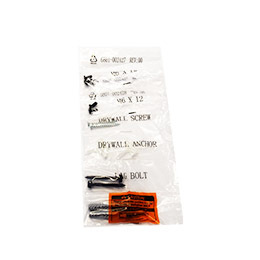 ECHOGEAR AV Shelves - changing your life, one component at a time. 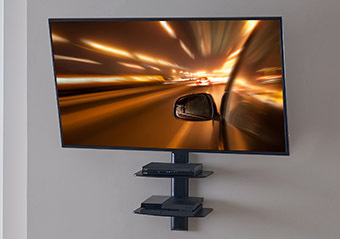 With compatibility in wood, concrete, and dry wall, the ECHOGEAR Dual AV Shelf works in every application. 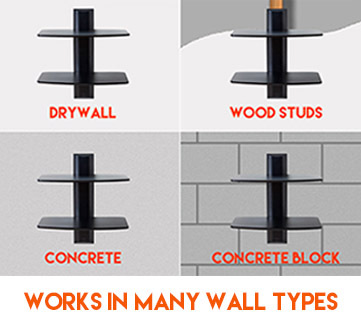 No worries if you have multiple components. 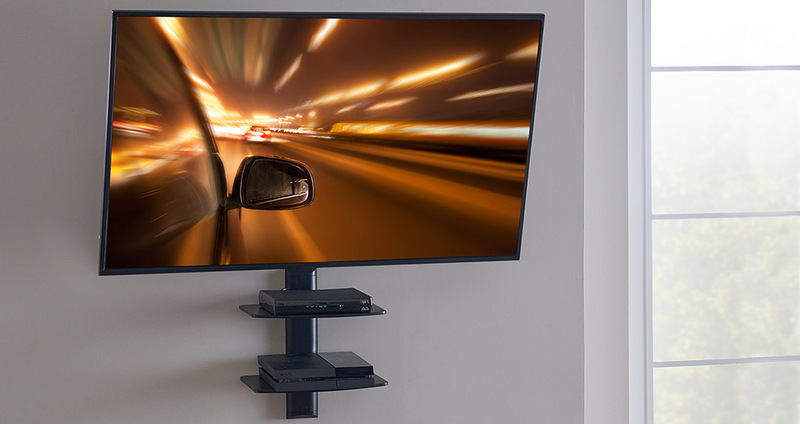 This dual AV shelf can hold multiple AV accessories up to 10 lbs on each shelf. 10 + 10 = 20, give us extra credit for showing our work. 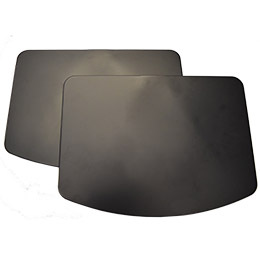 Safe and durable steel won't shatter like tempered glass in other shelves. 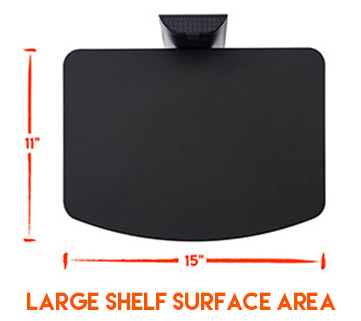 Fit anything up to 20lbs on this double-wall mounted shelf, such as an Xbox One, Roku, or cable box. 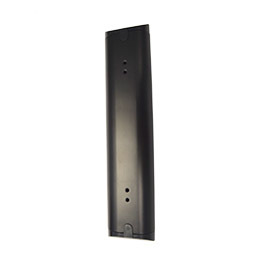 If you have fewer components you need to shelve, see our Single Steel Wall-Mounted AV Shelf. 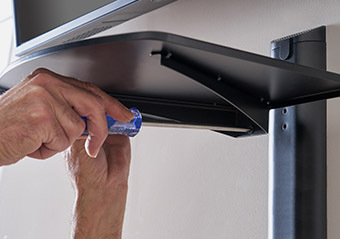 Click the button below to add the Dual Steel Wall-Mounted AV Shelf to your wish list.